We agree, it is a beautiful part of Spain. However, it’s a pity the weather is so unreliable and it is sooooo busy in the Summer months. Hi Lisa! 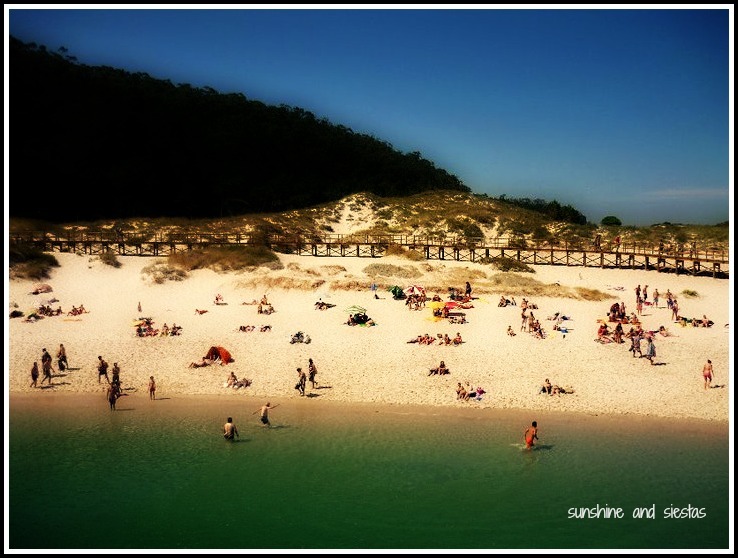 We got extremely lucky that summer (I spent five weeks in Galicia) – very little rain and even heat!Our two days in the Cies were stunning. 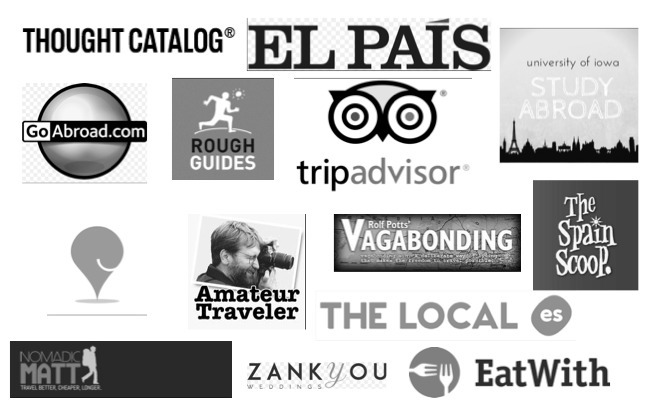 I’m a big Cadiz fan, and we often get to Los Canos and Zahara, our two favorites. Any others you’re keen on? Thanks for stopping by! 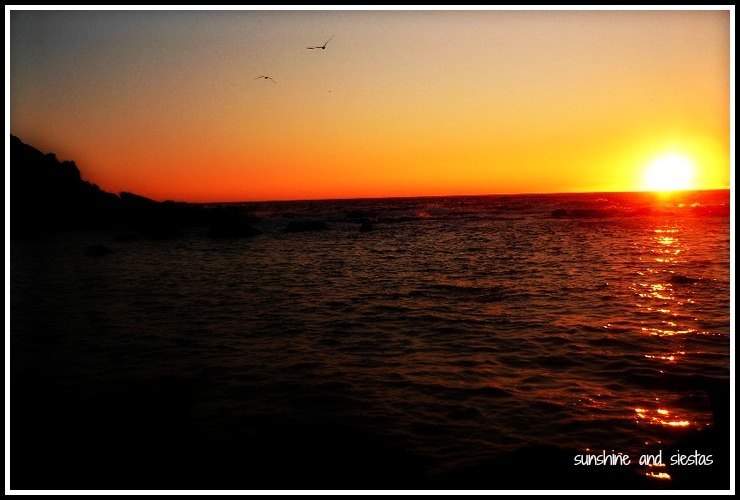 Love Cies. It’s a happy place for me for sure in Spain! Lovely post, Cat. I was fretting about finding accommodation when visiting La Graciosa off Lanzarote a few years ago. In the end, the two pensions were fully booked. I took a sleeping bag and had one of the best night’s sleep ever. I have a few other memorable nights sleeping under the stars, but none in a place so gorgeous! Well, I look forward to reading the blog posts about those nights too. I’ve been to Galicia three times now, and always seem to coincide with poor weather and colder temps. I’ve never dared attempt a trip in summer (usually flight deals are slim to now), but after hearing lately of these precious islas….looks like it’s about time. Absolutely beautiful! 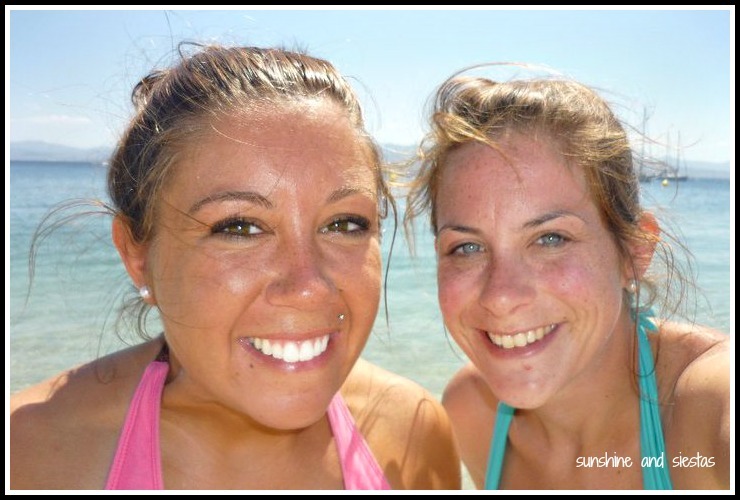 I have yet to make it to any of the Spanish islands and would love to visit someday! Alex @ ifs ands & butts recently posted..day in düsseldorf. These pictures are gorgeous!!!! I couldn’t do the camping though haha. So. Beautiful. What I would give for a tinto-fueled beach day right now. 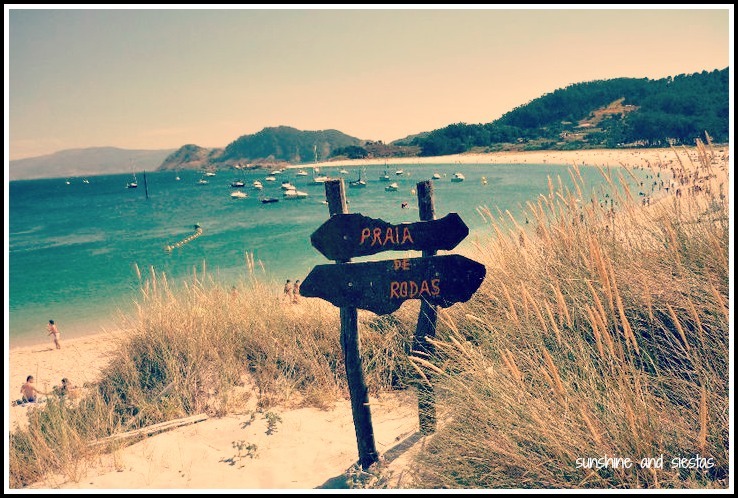 Galicia (and its pulpo) are at the top of my to-explore list, and I’ll definitely be adding this beauty of an island to my itinerary! I, like you, am much more of a villa girl, but I think I could “rough it” in a seaside tent for a night or two. Maybe you can even refer me to Biceps 😉 Great post, Cat! Hey lady! 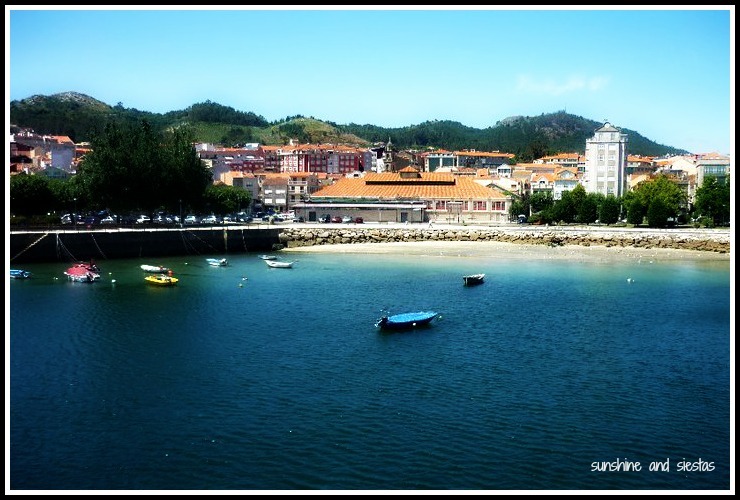 Galicia is a must – if I weren’t so sevillana at heart, I would be corunensa! I spend my summers up there and could subside on Albarino and pulpo a feira if forced (or even not). 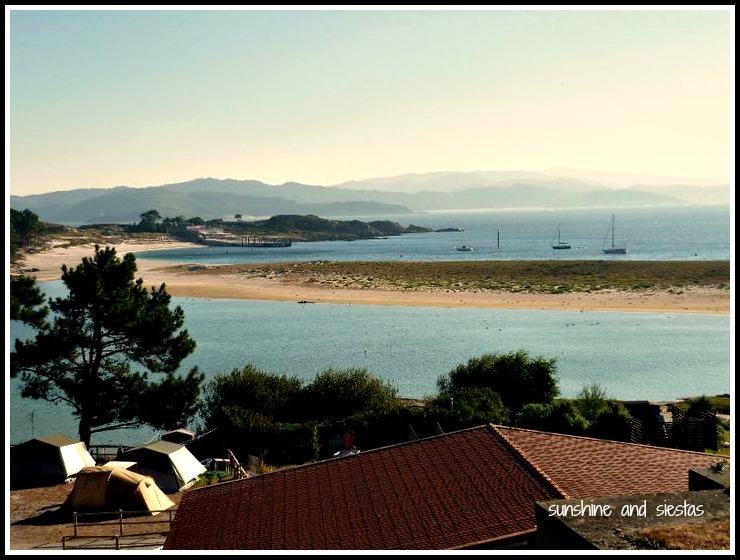 What a surprise – somebody who has visited the Cies. 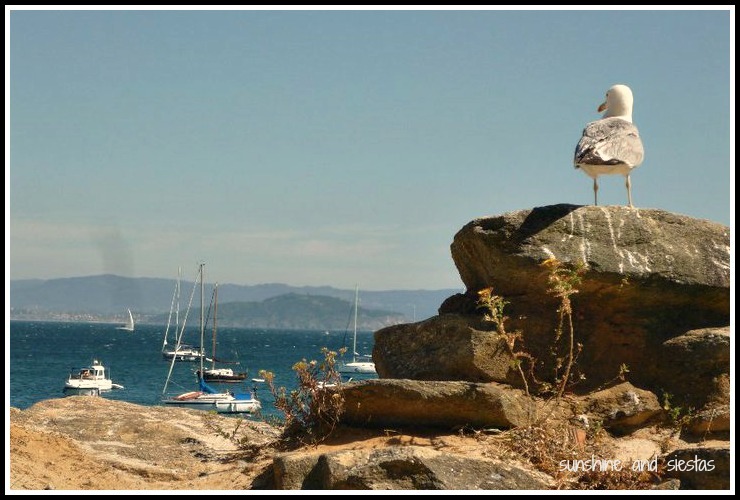 I took the ferry out of Vigo in early June a few years ago. The astillero workers were holding a protest march and we risked crossing the main street to the estacion maritima. Weather was perfect and the Isla was not crowded at all. Risk aside, I’m sure the reward was worth it! My friend now lives in Coruna, so we’ve been eyeing this summer as a good time to return. Maybe with a tent, this time! It does look beautiful – the closest we’ve been is Vigo. Maybe next time. Very nice! Beach camping is definitely something I want more of in my future (although I sort of like 1 night camping and then a nice apartment/hotel). Yep, one night was all we needed! You can go for just the day, too, but watching the sunrise and sunset were added bonuses. Thanks, Biceps! I’m not a camping person either but this beach looks divine! Lillie – @WorldLillie recently posted..Are the Best Sights of India in Old Delhi? Look Here. Galicia is definitely underrated, but one of my top picks in Spain. I’m lucky enough to have spent the last five July there and escaping the extreme heat in the South! Beach camping is definitely fun. There is nothing quite like hearing the sound of the waves all night long. Reviewing campsites for http://www.campoutcolorado.com I don’t get much chance to sleep on the beach of the ocean but have spent plenty of nights lakeside, and even better, riverside. Cat, I love these pictures. Everything looks so beautiful. I’m very jealous, especially with it having just snowed 8 inches here in Wisconsin a few days ago. I’m looking forward to being in Spain next year though! Mike recently posted..Granada: A Dirty Sevilla? I mean, it’s nothing compared to where you stay, but apparently machoism is alive and well in Spain! If I can laze about on the sand reading in the sun or searching the pebbles and shells for exotic finds and sea glass, I need never go in the water, except maybe to wet my feet. This place looks like a spot I’d enjoy. 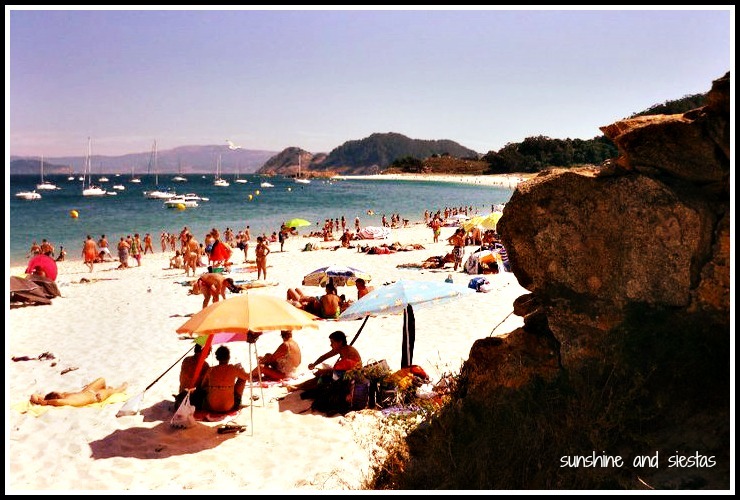 Your time on the Islas Cies was definitely memorable 😉 And, the photos are amazing. 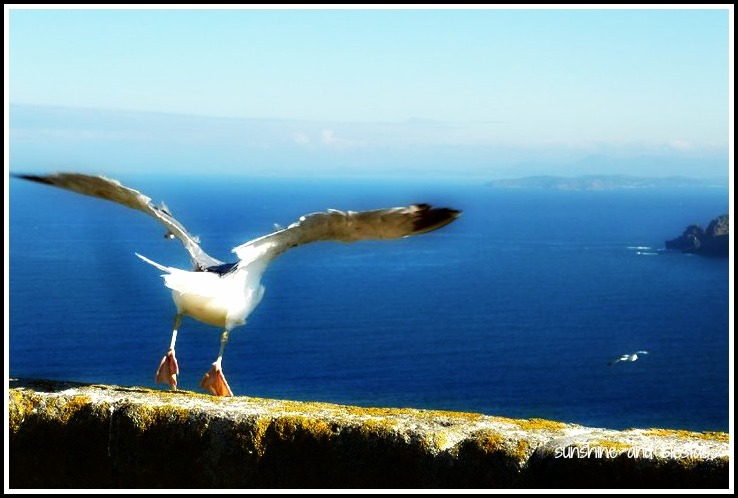 Love the ones of the bird on the rock and the bird taking flight. Beautiful! Will respond both ways, but I can’t remember exactly what we did, and we only stayed one night in early August. This was three years ago, so it’s possible that rates have changed. I do remember we had to pay for a tent, along with our fee. There’s also the possibility of just going for the day and paying for the ferry. Departures change all the time, so don’t quote me on it!